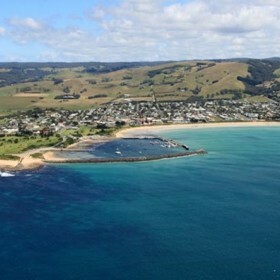 Lambert & Rehbein were recently appointed by the Colac Otway Shire to design and document a carpark construction through a joint initiative by Council and private landowners is the seaside commercial area adjoining the Great Ocean Road. This project adds to our successful portfolio of local government projects throughout Victoria. The design included civil pavement and drainage works, waste collection area, landscaping and public lighting. Submission of the draft design was recently made and the stakeholders are currently assessing the plans for final design to be completed. Council have a strict program and it is expected that the construction will be completed before the next summer and the influx of holiday makers to provide greater opportunities to the commercial businesses that utilise the carpark at present.